Take Up to 90% Off Clearance + Free Shipping! 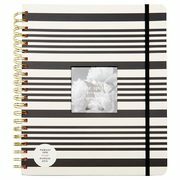 Chapters Indigo Indigo.ca: Take Up to 90% Off Clearance Paper, Home Decor, Fashion & More + FREE Shipping With No Minimum Take Up to 90% Off Clearance + Free Shipping! It's time to head online and do some shopping at Indigo.ca, where for a limited time only, you can take up to 90% off select clearance items, including agendas, home decor, fashion, and more! These offers are live for a limited time only while stock is available. Through March 20 Indigo.ca is offering free shipping with no minimum!